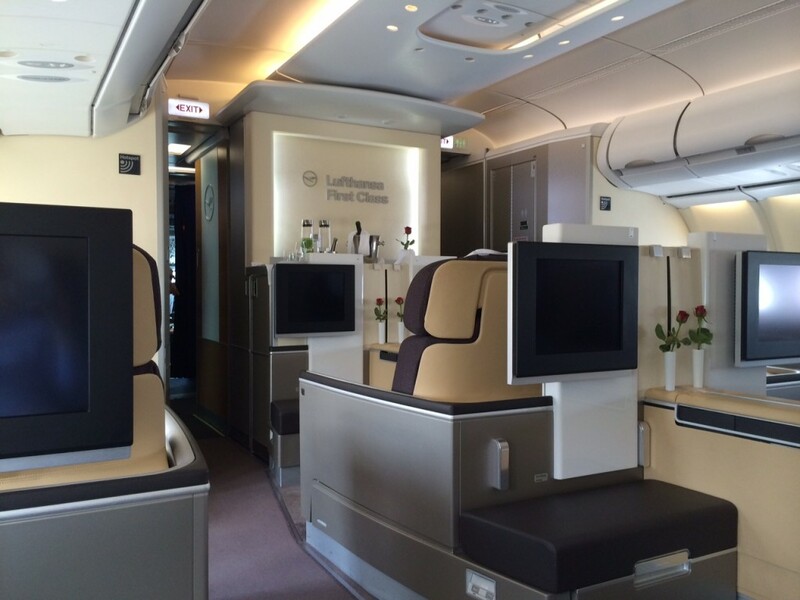 This is my review of my Lufthansa First Class flight from Munich to New York Newark. 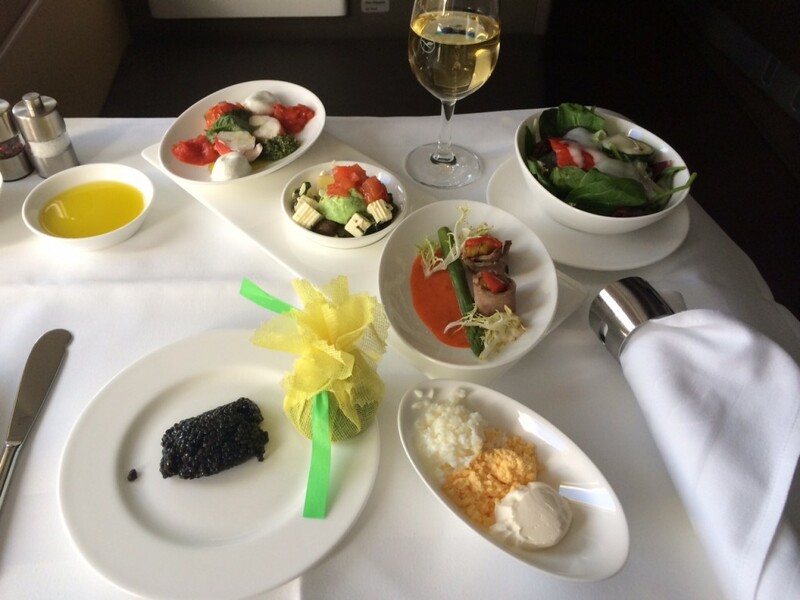 I didn’t plan to fly Lufthansa First Class to New York last week. I knew I would be starting my trip in Hamburg but that still opened up a lot of options. I looked at Virgin Atlantic from London but there was no availability. 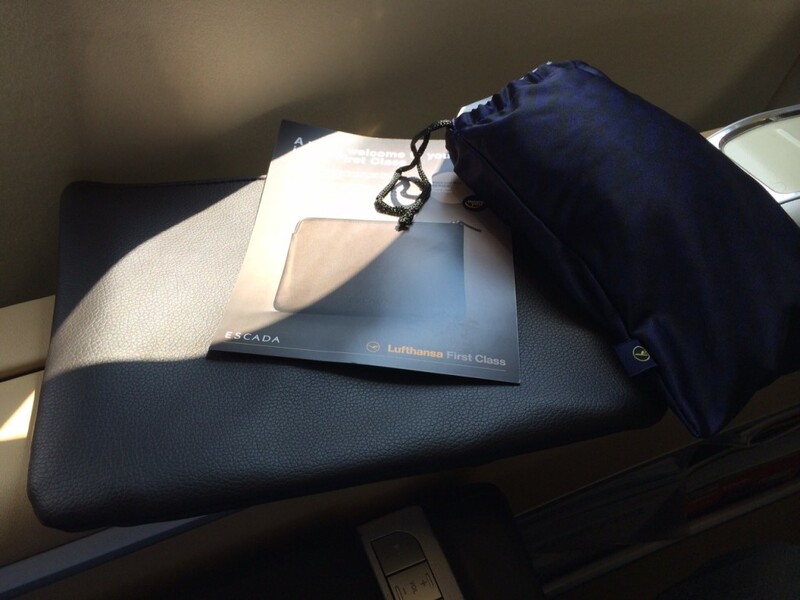 I looked at Singapore Airlines from Frankfurt but, again, no availability in First Class. I considered the little-known Emirates service from Milan to New York but there was no availability. I even considered OpenSkies, the BA sister airline which flies from Paris to New York, but I couldn’t get a good connecting flight. 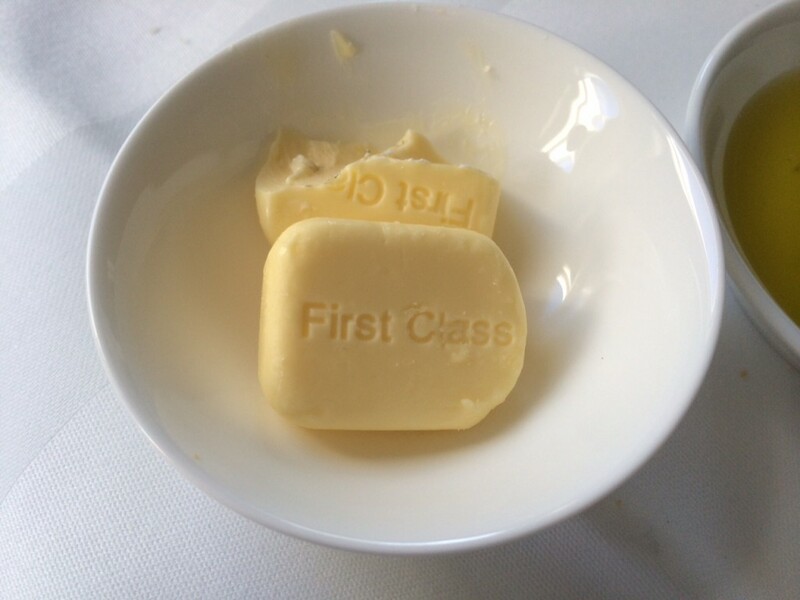 Swiss First Class is no longer available for redemptions unless you are Miles & More Gold (I’m not). The United direct flight from Hamburg was not available and is not exactly luxurious. Eventually, Lufthansa First Class emerged through the fog as the best option. I wrote about the First Class Lounge in Munich yesterday. When I selected my seat there were no other seats taken in First Class. I had a sneaky feeling that I might end up on my own. And I was. At least I could take pictures without annoying the other passengers! The flight was on a A340-600. The means that First Class is in a more traditional – British Airways-style – layout. On a Boeing 747, which I flew last year and reviewed here, the seats are upstairs and you get a separate seat and bed side by side. Here, the seats convert into a bed. And this is how it looks as a bed. As the cabin was entirely empty, the crew made up a spare seat as a bed which was a thoughtful touch. This meant I could jump between the bed and chair as I wanted. The toiletry bag comes in this Escada-branded leather envelope. This is cunningly designed to double up as a tablet holder! Food. Ah yes, the food. Lufthansa does good food. The photo below is my appetiser. It is NOT the main meal, just the appetiser. We’ve got some caviar and garnishes at the bottom. From the top we have a lobster medallion with mozzarella, lettuce cream with feta cheese and veal slices with asparagus. And a salad on the side. It seems that I didn’t take a picture of my main course, which was halibut poached in olive oil ‘with oriental water melon and date confit’. Champagne is never a strong point on Lufthansa but I did my best to work through a bottle of Laurent-Perrier Grand Siecle, which was the only option. I got my own dedicated silver ice bucket! I gave the main wine list a miss – it had been a long drinking day by this point – but I did give the dessert wine (a Robert Weil German Riesling) a try. The crew, not surprisingly, were great – they didn’t have anyone else to disturb them! The only annoying part was after landing. Lufthansa now has PA’s who meet First Class passengers on arrival. In New York, though, they are toxic. Last year I had to wait for around five minutes until my fellow First Class passenger deplaned. The PA then told us that she couldn’t help speed me through immigration but she would be in the baggage hall later if we needed anything! I had lost about 100 places in the immigration queue by that point. I learned my lesson. As I got off the plane this time, there was a woman waiting with my name on a board. I told her to come with me, and we ran off down the corridor together as she gave me the speech explaining that she could be of absolutely no help to me whatsoever …..! Luckily immigration was deserted and I only had two people in front of me. I was soon in a cab (with a driver who illegally took my fixed fare notice given to me by airport staff and then conveniently forgot the total) and on my way to the Conrad …. Win a Radisson hotel stay .... for life! So how well catered was the F cabin? Err, I suppose what I’m trying to ask is how many servings of caviar did you get through? Good luck informing the wife about burning her miles! We’ll understand if there’s no new posts over the next couple of days while you recover from that beating! Seriously, another entertaining example of Raffles’ travel reports which make HfP so addictive. I wasn’t massively hungry – full buffet breakfast in the Hilton plus lunch in the lounge. I did a similar desert set up, taking a bit of everything on the trolley! I saw that, major coincidence! 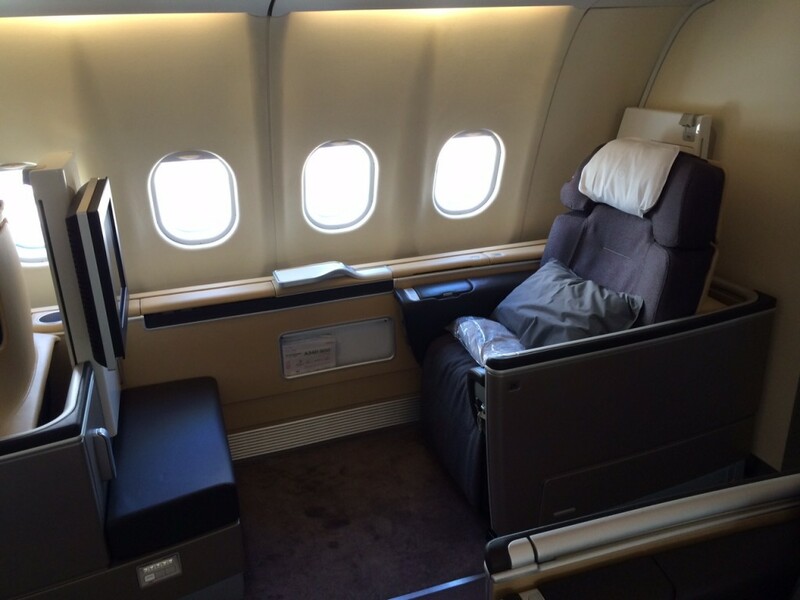 One of my friends flew Lufthansa first class last month and the seating arrangement was each passenger got a seat with their own bed next to it, it looked great. 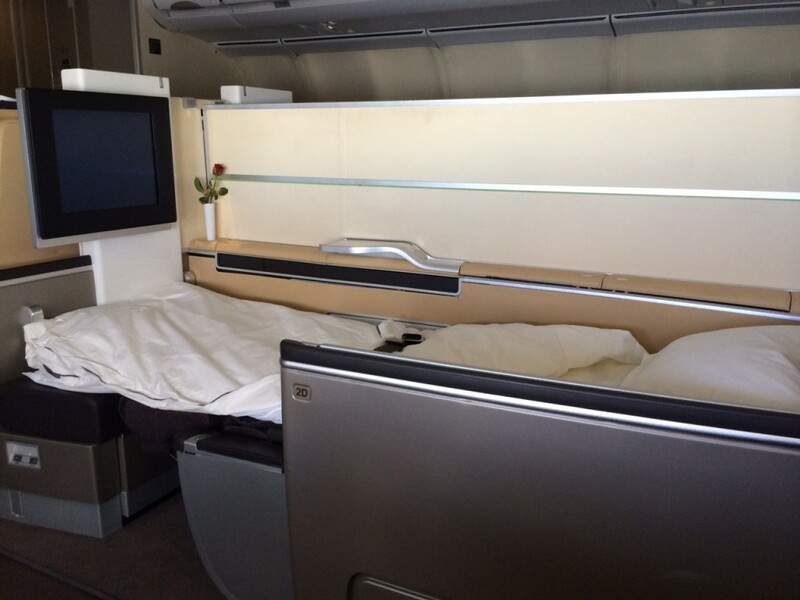 Thanks to the empty cabin your arrangement looks better though, the bed he got seemed quite narrow in the picture. Had to laugh at Lufthansa having someone in New York just to tell first class passengers they can’t do anything for them. What’s the deal with those fixed fare cab tickets anyway? Last time I took a taxi from JFK the guy added on tolls. Don’t know if that’s a scam or not. Didn’t you post something ages ago about a $100 cab fare to manhattan? Sure you said more on that later at the time but don’t remember seeing a follow up. From Newark the tolls are an extra $18 on top of the fixed fare. Unlike JFK they are fixed by zone, there is not a standard Newark to Manhattan fare. Battery Park is $50 plus tolls, driver swore it was $60 and had taken my fixed fare slip when I got in.